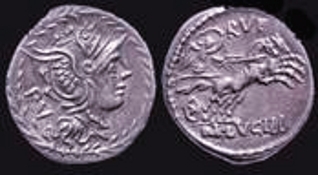 AR Denarius, 3.97g. Helmeted head of Roma ,PV behind. Rv. M LVCILI RVF. Victory in biga r. RRC 324/1.